Singer/songwriter Michael Feuerstack offers up his latest solo album endeavor ‘The Forgettable Truth’. The new album sees Feuerstack assembling a team of musicians to help back up his own ideas and concepts, all packaged together into one cohesive album experience. Everything is rather down-tempo for the most part, allowing Feuerstack to indulge himself and his backing musicians in a gentle musical experience that draws out ideas from wherever they may come from. ‘The Forgettable Truth’ is for the most part a nice album experience, though it seems to fail spectacularly at doing anything to grab the listener. Feuerstack’s latest album effort seems to come across as a simple exploration of nicely structured music and personal concepts expressed lyrically through the music itself. There’s a safeness to everything Feuerstack presents, which results in a gentle and easily approachable album experience, one that most people will find to be rather delightful and enjoyable. There’s evidence of strength in Feuerstack’s song-writing techniques, which seems his own lyrical themes come across in somewhat enjoyable ways. It’s a rather charming and somewhat enjoyable album experience that certainly works in most contexts. Although there’s nothing wrong with the safeness and approachable nature of Feuerstack’s latest album effort, it seems that for all the lengths the song-writer has gone to, there’s been absolutely no consideration in how to actually draw the listener in and keep their attention and interest. Everything feels a little too indulgent, as though Feuerstack has created this album experience for himself and his friends, rather than creating something that he can actually be proud of and impress those around him with. Everything feels just largely forgettable, with there being barely any element or technique that actually manages to stand out on the album itself. Feuerstack’s latest album ‘The Forgettable Truth’ certainly offers an enjoyable album experience for the most part, though it fails to do enough to warrant its own existence. Everything is just too safe and cosy, making everything occupy an area where no risks are taken, and no technique or idea is explored in any interesting way. It feels as though Feuerstack just needs to add a little extra something to his music to really elevate its position. Certain techniques and elements are there at the core of the songs, but there’s not enough being injected into the songs to really make them work, making the whole album effort feel incredibly weak for the most part. Michael Feuerstack’s latest solo album ‘The Forgettable Truth’ is out now. Post-Punk/Post-Rock band Enablers offer up their latest studio album effort ‘The Rightful Pivot’. The new album sees the interesting band offering up an exciting and vibrant album effort, one that indulges itself in dark and brooding instrumentals set to unusual yet incredibly engrossing vocal performances. Enabler’s own style of rock genres strays into areas where different ideas and concepts all join together to create something rather difficult to classify, though the core elements of certain genres and techniques remain at the center of each track, driving forward something incredibly unusual, though phenomenal and interesting at the same time. For their latest album effort, Enablers seem to offer up a very dark and foreboding album experience. Everything seems to occupy dark areas of music, using low-end bass notes and driving drums to push everything along. There’s a wonderful pacing to the album itself, which utilizes the spoken word vocals of the band’s lead performer to absolute perfection. Everything feels incredibly tight and well thought-out, with great care and consideration going into how everything will compliment each other in an album setting. It’s a very strong effort, and one that really showcases a great amount of talent from this band. Whilst many of the experimental notions of the album work incredibly well and to great effect on ‘The Rightful Pivot’, it seems a few songs don’t match up to the same level that the rest of the album presents. At times, it feels as though Enablers start repeating their own techniques and notions a little too much, not really doing enough to add enough diversity into the individual songs, and thus adding a repetitive quality to the album itself. It’s luckily not enough to really bring down the overall impact of the album, though it does result in a few songs being largely forgettable, and not really standing out as much as some of the other tracks on the album. Though there’s arguably a few weak moments on ‘The Rightful Pivot’, it seems Enablers have managed to push out a very engrossing and enjoyable album effort. Enablers have a very interesting sound that they push out as a band, sounding somewhat like what one would get if they combined the early years of Swans with the fictional band The Soronprfbs from the movie Frank. It’s a rather unusual sound, though it is one that is oddly enough easily accessible, and one that also offers up quite a lot to the listeners. Enablers might not be conventional in their approach to the music, but their execution of their own ideas is certainly strong. Enabler’s latest album ‘The Rightful Pivot’ is out now. Three years after the release of the very surprising and phenomenal album ‘Allelujah! Don’t Bend! Ascend’, Canadian instrumental-rock group Godspeed You! Black Emperor offer up their latest album release ‘Asunder, Sweet And Other Distress’. The new album sees Godspeed You! Black Emperor reworking their highly impressive 40-minute track known as ‘Behemoth’ into one cohesive and structured album experience, with the performance being divided up into four separate tracks. There’s an incredible energy to ‘Asunder, Sweet And Other Distress’, one that sees energy being channelled in some rather unusual though incredibly pleasing ways. At times, the new album is a little polarizing, though this is perhaps a piece of work showcasing the band at arguably their most creative. Certain elements of ‘Asunder, Sweet And Other Distress’ are to be expected of course, mostly in the opening of the album which offers incredible guitars set to impressive violins and backed up by a slow marching drum beat. Elements of the music feel incredibly familiar to previous Godspeed You! Black Emperor material, though presented and fashioned up in a wholly different way. Everything feels incredibly bombastic and large, utilizing the talents of many musicians to create a glorious musical experience, before stripping everything away until driving tones push forward at a slow pace, offering up something different, slightly inaccessible and utterly engrossing. It’s mostly an odd album experience, though one that is cohesive in presenting a full album experience where everything works well with each other. Godspeed You! Black Emperor have certainly pushed out an interesting and exciting album effort on ‘Asunder, Sweet And Other Distress’, though there’s a few polarizing elements which could alienate a few fans of the band. 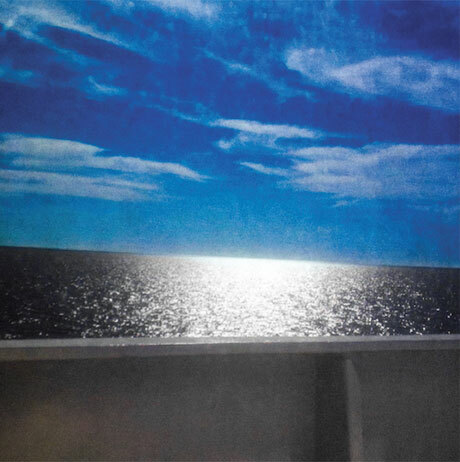 Previous albums from the band have certainly explored areas of drone music, though it seems it’s been pushed forward to a much greater extent on the bands’ new album, resulting in an album experience that greatly differs from what one would normally expect from the band. It is perhaps off putting to certain fans, though there’s still something phenomenal and interesting being presented by the band, who showcase even more creative ideas and techniques. ‘Asunder, Sweet And Other Distress’ is certainly an enjoyable album effort, though it perhaps fails to really reach the same heights as some of its predecessors. With that being said though, it is hardly an album to be dismissed entirely, as it is representative of new styles and new techniques from the band, who flesh out experimental concepts into full formed ideas, all coming together wonderfully in the form of an impressive album experience. Godspeed You! Black Emperor’s wonderful style of instrumental rock might never follow any distinct style between albums, but there is always something amazing being presented by the band. Godspeed You! Black Emperor’s fifth studio album ”Asunder, Sweet And Other Distress” is out now. American Musician Thomas Meluch offers his latest release via Kranky under the moniker of Benoît Pioulard titled ‘Sonnet’. The new album sees Meluch offering a rich and vibrant selection of sonic instrumentals, making great use of various genre techniques to build up the album experience. Meluch expands upon many of his previous techniques, confidently constructing every detail to present his own personal vision. ‘Sonnet’ seems to occupy a weird and unusual land where everything is washed in hazes of static and noise, with the music being a comforting friend that gently holds your hand as your guided through an uncertain yet engrossing world. Meluch’s latest effort seems to be one of his most ambitious, utilizing his many musical techniques to build up incredibly mysterious and exciting soundscapes. There’s an incredibly mystical element running throughout the album, joining together each track into one singular listening experience. Certain elements move through gently, building up calm tones that comfort, whilst others rush through layers of noise to greet the listener. It’s a phenomenal effort, one that borders lands where genres are crossed together until they are no longer discernible. This is arguably Meluch at his absolute best, utilizing his many talents to present a wonderful album experience. Those familiar with Meluch’s style might note his various takes on different genres, ranging from ambient to lo-fi to even folk. On ‘Sonnet’, many of the folk elements we might know of Meluch are mostly abandoned, in favour of lo-fi electronic treatments that form a universal sound across the whole album. It might be a little disappointing to some who might enjoy these now missing elements of Meluch, though the whole album presents so many wonderful elements, it’s hard to notice anything missing as everything feels incredibly complete and whole within its own context. Meluch’s latest work could perhaps be his best thus far, one that builds upon the many experimental notions previous explored on his earlier releases, whilst pushing out some new and exciting ideas that all fall effortlessly into place. There’s a wonderful notion on ‘Sonnet’ that Meluch is pushing everything he has forward, whilst simultaneously holding it all back just a little bit, never once revealing the whole picture, but offering us a slightly distorted yet equally enjoyable view of the image being created. It’s noisy, sonic and a little confusing at times, but it’s easily one of the best records Meluch has pushed out thus far. 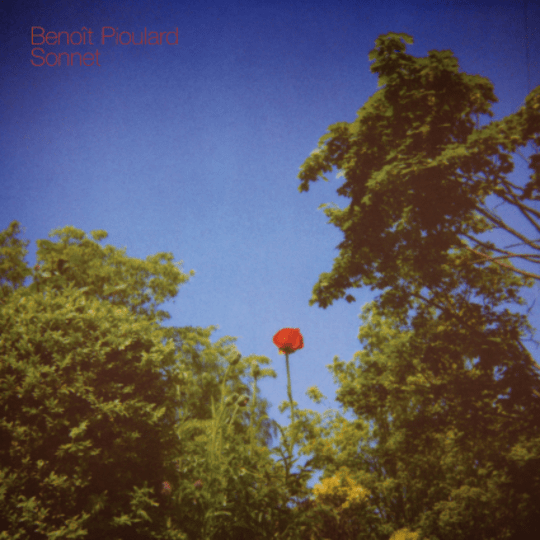 Benoît Pioulard’s latest album ‘Sonnet’ is out now, available through Kranky. 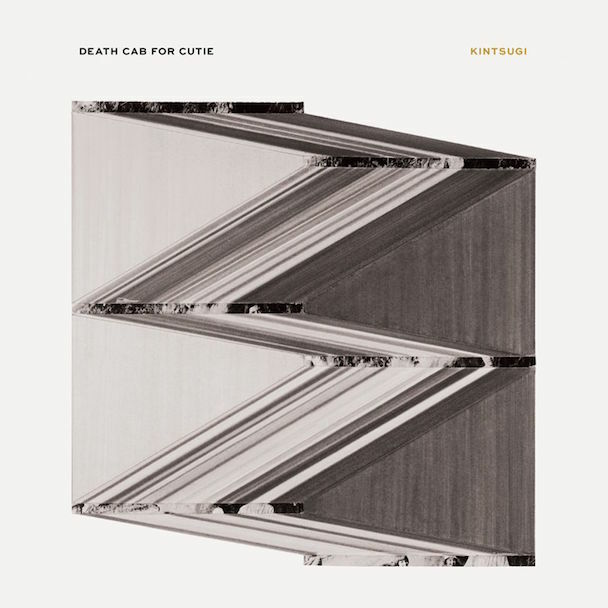 Indie-rock band Death Cab For Cutie offer up their latest album ‘Kintsugi’, their first album in their long career featuring a different producer following on from the departure of member Chris Walla. On ‘Kintsugi’, we see Death Cab for Cutie offering up more of their quintessential and charming indie-rock music, partnering together lead singer Benjamin Gibbard’s introspective lyrical style with enjoyable instrumentals. In many ways, it’s a very typical Death Cab for Cutie album, featuring accessible and enjoyable tracks that are certain to become popular fan favourites, though there’s elements of experimentation here and there, showcasing the band as one who are always looking forward and making attempts to broaden their own style in any way they can. There’s a lovely element running throughout ‘Kintsugi’, which seems to push forward a forlorn and somewhat diminished perspective on love once again (differing from the bands’ previous 2012 album ‘Codes & Keys’). It seems thematically, things have taken a turn from the bands’ previous album effort, with Gibbard indulging much more in ideas and concepts previously explored on his earlier material, though this time with a much added level of maturity. Although we’ve heard these themes and ideas before, Gibbard pushes out his own ideas and themes with effortless ease, making everything sound natural, without really being forced upon the listener. Death Cab For Cutie have pushed out a rather enjoyable album effort with ‘Kintsugi’, which is offers up charm and moodiness in equal measures and both in accessible and enjoyable ways. Although there’s much that works well for ‘Kintsugi’, it seems certain parts of the album drag on somewhat, acting a little sluggishly on the overall palette being presented by the album itself. Whilst there’s many enjoyable and accessible tracks being presented by the band, it seems others don’t really match up all that well, sounding a little like filler material on an otherwise strong album. ‘Kintsugi’ might not be the strongest Death Cab For Cutie album, though it is certainly a step up from their previous album effort, offering up a lot more in terms of themes, concepts and ideas. Many of the elements being presented on the album work well, with the poorer tracks not impacting too greatly on the overall album experience (though it could certainly benefit from trimming here and there). It seems work with a new producer hasn’t impacted too greatly on Death Cab For Cutie’s overall sound, though will the departure of Chris Walla impact on the bands’ follow up album to ‘Kintsugi’? Death Cab For Cutie’s eighth studio album ‘Kintsugi’ is out now. Belgian indie-pop band Balthazar offer their third studio album ‘Thin Walls’. The new album sees the charismatic Belgian band offering an interesting album experience, and one that differs from their previous two albums. Whilst much of the music on ‘Applause’ offered up dreamy waltzes and engaging command, ‘Thin Walls’ seems to opt for a more stripped down approach, showing the band as one who are considering their music from many angles, and seeing what new ideas and techniques they can draw out of their own style by approaching it all from a different angle. For the most part, ‘Thin Walls’ is an enjoyable album, offering more of the bands’ natural creative talent, though it perhaps fails to reach the same heights as the bands’ debut effort. There’s many enjoyable elements to ‘Thin Walls’, which seems to offer up a more mature element to the bands’ music. Everything seems well thought out and envisioned, with there being great effort to reach the standard the band have been aiming for on their third studio album. The more stripped down elements allow the music to become that little bit more dreamy and accessible, though the real highlights are when the band indulge themselves in majestic instrumental sections and confident vocal performances full of swagger. It’s another strong effort, and one that helps to show Balthazar as a band who evolve with each album released. Balthazar have certainly set out to do something different to their norm on their latest album, making attempts to push out a more mature and evolved sound than their earlier work. Whilst this works well for the most part, it seems the more stripped back elements that more or less dominate much of the album seem to come with a loss of the more experimental elements that made the bands’ earlier work all that more enjoyable. There seems to be less waltzing around and less confident swagger on ‘Thin Walls’,which is a shame in some respects, though it’s certainly admirable to see the band trying more. ‘Thin Walls’ isn’t a failure of an album in any way, though it is an album experience that perhaps pales in comparison to its predecessors. Most of the album’s highlights come from when the band indulge their older style much more than when they indulge their stripped back and mature style. Most of the techniques and ideas being presented by the band more or less work, with there being some really strong songs from the band, many of which are certain to become fan favourites. It seems perhaps a little bit more refinement of these new ideas at the core of the music would perhaps elevate it all to the position that Balathazar are aiming for. They’re certainly capable of it. 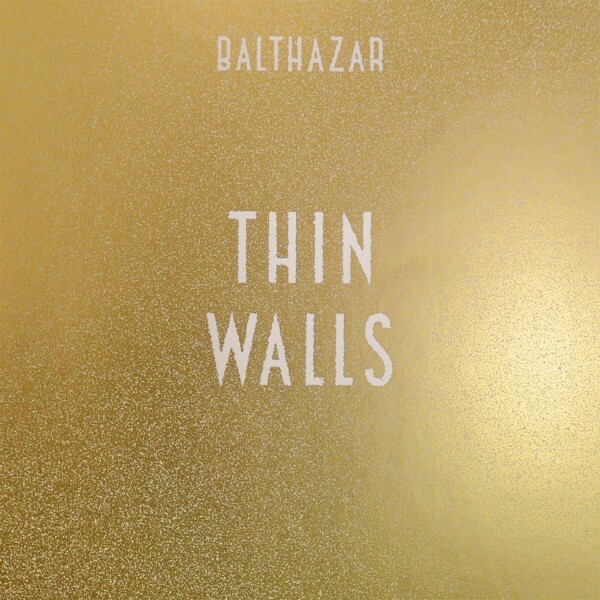 Balthazar’s third studio album ‘Thin Walls’ is out now.